Apartment, any comfort 44 m ² in R. D.C of a town house, raised courtyard. T2 with done up kitchen, room of water, room with king size bed, living room with bed click. 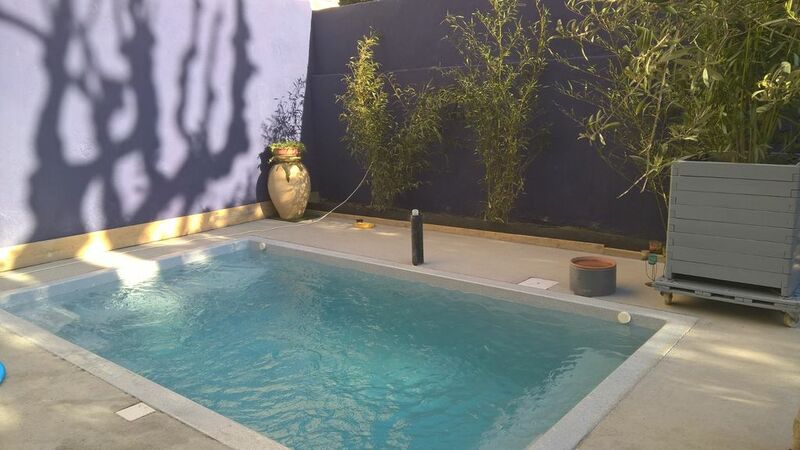 Soon landscaping of the garden, in June, with a 4m by 3m swimming pool spa pool, water heated to 29 °. All shops in the area located 7 minutes walk from the station of Avignon city center. An organic canteen shop is available every day of the festival and you can have lunch and dinner for a small fee.